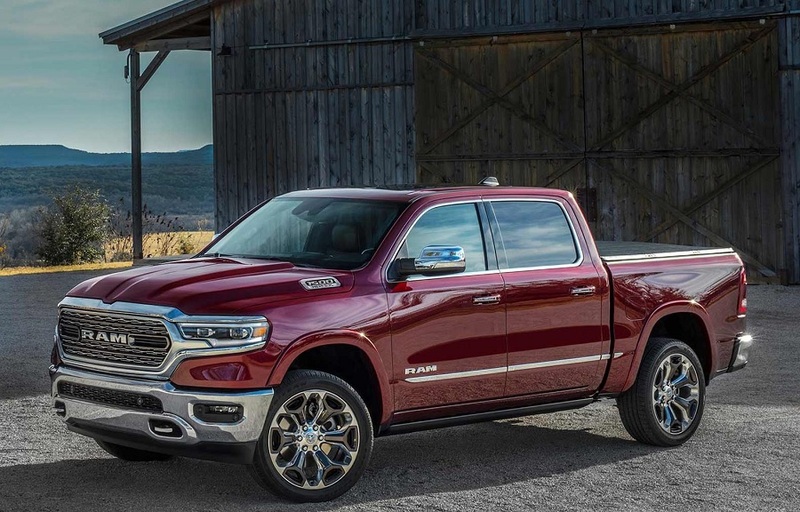 As the truck battle rages on, the 2019 RAM 1500 is one of the most popular options. The previous generation was starting to show its age; it was largely unchanged since 2009, so it was about time! The all-new, fifth-generation RAM is ready to rumble, and we think it wins the 2019 RAM 1500 vs 2018 RAM 1500 debate. Read on to learn how the 2019 model compares to the 2018 RAM 1500, which is still on display at Melloy Dodge, our dealership serving Albuquerque Santa Fe and all New Mexico. 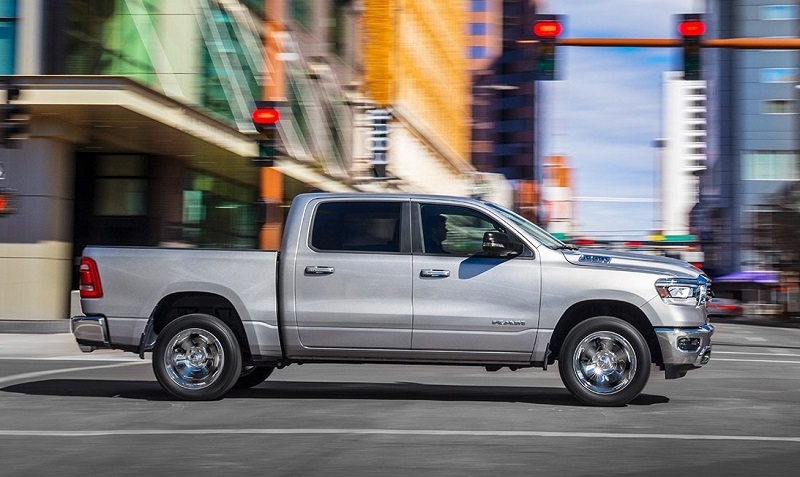 From all angles, it's quite obvious that the RAM has been completely redesigned for this model year. Although the 2018 model had swooping lines and a grille that looked more 'big rig' than pickup truck, the 2019 version's lines are straighter and classier without giving up any of that ruggedness RAM buyers love. Both model years' looks change depending on trim level. From the no-frills Tradesman to the tough Rebel and the luxurious Limited, plus several trims in between, there's sure to be a RAM for everyone. We think the 2019 RAM looks better than its predecessor, which was a bit long in the tooth. The all-new look is a great upgrade, and we think RAM nailed it. The differences inside the 2019 RAM 1500 are almost as dramatic as the differences on the exterior. The 2018 RAM 1500 had a relatively basic interior with a boxy, yet roomy design. However, the 2019 RAM presents a substantial upgrade, with its new, modernized, and upscale design. The four-door crew cab got more interior space this year, and the RAM 1500 now has class-leading back seat space. Riders sit a bit lower, maximizing headroom and making it easier to climb in and out. The 2019 RAM has some innovative storage solutions, including rear under-seat storage, a load-flat floor, a configurable console, and RAM bins, which are great for trailer hitches, jumper cables, and other pickup must-haves. Like the outside, we think the 2019 RAM is greatly improved on the inside. As of the time of this review, there's no diesel engine option available, but we expect a variation of the diesel V6 to come to the fifth-generation RAM sometime this year. As for gasoline engines, you've got choices. The basic V6 and V8 return for 2019, albeit with a few revisions. For instance, the eTorque mild hybrid system replaces the alternator with a battery-powered generator that improves fuel economy and capability. Of course, all trucks come with optional four-wheel drive for increased off-road durability. The RAM 1500 takes two of the best Pentastar engines ever made and improves on them, and we expect competitors to copy them in the near future. 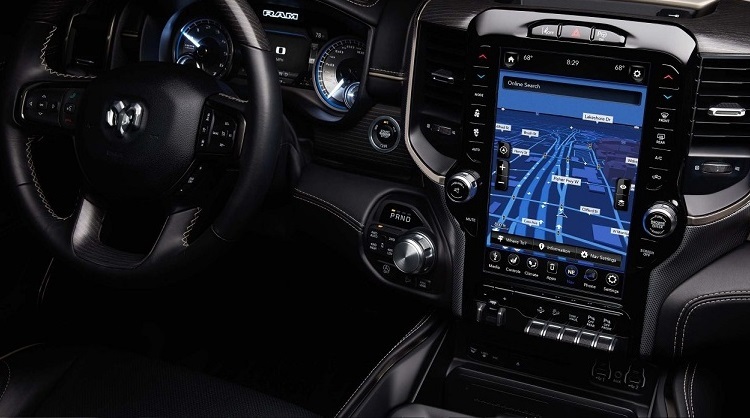 2018 and 2019 RAM models both come with great Uconnect infotainment systems, but only the new model comes with an optional 12" screen. This is the biggest touchscreen in the class, and it can run more than one app at once. When it's time to go, the entire screen can be used for navigation, making the trip easier than ever. Both models have optional Apple CarPlay, but surprisingly, Android Auto isn't available. The 2019 version has plentiful USB-C and USB ports for device-hungry passengers, and with active noise cancellation, the ride will be nice and quiet. The 2018 RAM lacked many of the driver assistance safety features you'd expect. However, the 2019 RAM has optional blind spot monitoring, trailer detection, rear cross traffic alert, lane departure warning, lane keep assist, parking guidance, a 360-degree camera, and adaptive cruise control. Where safety is concerned, the 2019 model wins the 2019 RAM 1500 vs 2018 RAM 1500 debate. The 2018 RAM received a four-star rating from the National Highway Traffic Safety Administration, while the 2019 model hasn't yet been rated by the NHTSA. However, the 2019 model got an IIHS rating of Good in most categories, with a Superior rating in frontal crash mitigation. The 2019 RAM is, in our opinion, a much better pickup truck than the previous version. As we said before, the fourth-generation RAM was starting to show signs of age, and the company did a fantastic job of modernizing it inside, outside, and under the hood. With its classy look, advanced technology, roomy cabin, and available mild hybrid system, the 2019 RAM is more than competitive. Call the dealership to speak to a sales and finance expert, view our entire inventory online, or come and see us at Melloy Dodge, our dealership serving Albuquerque Santa Fe and all New Mexico.